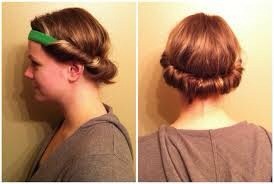 Wrap dry hair around head band equally on both sides. Sleep with headband in over night for better results. Don't forget to like and share!